Lots of new and improved changes to the Digi Scrap Cafe! This may or may not be a long newsletter, depending on your perspective. 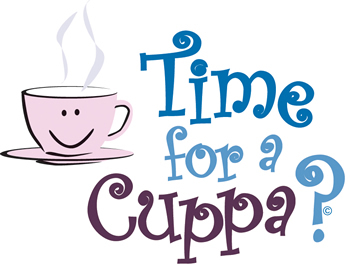 In any case, grab a cuppa, and let’s see what’s new! The store has been cleaned up and re organised some, to accommodate a lot of new features. It took awhile to figure it all out so the store could run as smoothly as possible, with less hoops to jump through. I am in love with the WordPress store platform, it is unique, and beautiful, and I am happy to offer you a store experience like no other digi shops out there today. See them all at the store! The first change is in our freebie section. You no longer need to either log in and create an account, NOR use a coupon for freebies. ALL FREEBIES OFFERED ON THE STORE FREEBIE SECTION ARE NOW DIRECT DOWNLOADS! YAY! All you have to do is look around the products page for the direct link to download your freebie. This is convenient for us both, you get easy freebies, and the store saves space, win win! This will include any blog trains the store participates in as well. Although you no longer have to create an account for our freebies, I hope you will find other awesome items that you will want to add to your cart as well! I have not abandoned this freebie, only put it on hold. There is so much going on, and so much to so over the holidays, it seemed lost in the mix. It will return after the new year. Welcome this colaboration between me and my friends Penny and John. Both are artists, and are helping to create single elements for your scrapbook and cardmaking pleasure. This store is all about mix and match, where you will find prices ranging from .10 cents, on up….. The main purpose here is to offer many single images that can be purchased for extremely low prices, so you the customer, can buy only what you need or want. No need to purchase an entire kit, just for a few items you see in the preview! (there is a check out threshold of $1.50 tho) Occasionally you will also find a kit or two in this vendor store, as well as other unique items, while all prices will be generally low. Because we are bringing a super economical shop into the fold, we had to figure out how not to go bankrupt lol. Previously we did not have this concern because we were not considering selling single images at such low prices. We considered another coupon code, but this way is both confusing and hassling to both you and us, so I searched for a solution to limit the cart itself, and finally found one that worked with WordPress and my theme, YAY! In order to accomodate the new price ranges, a customer must now have $1.50 US in the cart to check out. This means we can offer flash sales, and sales with percentages as much as 90% off, without the store losing. I hope you all understand. I have seen stores with much higher checkout levels, I have also seen stores that have tons of freebies, but will not let you at them unless you meet the price threshold. My belief is, If it is marked free, then it should be free!! Hence the new changes to the freebie area, so you can have your freebies without paying any money, nor signing up for an account…. I may in the future also find a plugin that allows WordPress to offer you an exclusive freebie when a certain amount has been entered into the cart, but am still looking for that…. I may however offer some freebies this way, and a BMS offer using a different method in the meantime, stand by for that. Here are a couple you can download right here. Since many changes have been made in the last week or so, if any of you find an issue, examples, something is not working right, you can’t do something you know you should be able to, some words or descriptions are all wrong in categories or pages, etc…. CONTACT ME with I FOUND AN ISSUE in the header, and please explain your issue in detail. Well, that’s all for now, more fun to come! WOW!! I forgot one really very important change. That’s right, for EVERY DOLLAR you spend untill the new year, you will recieve 5 reward points. you spend untill the end of 2017, you will get $5.00 to spend in the store. Incredible, how can we afford this. Well we are not rich, just in the spirit of Christmas and the Holidays. dollar after the new year, still higher than most. Peace!